Split system air conditioners are a great way to heat or cool single rooms. Toshiba split system air conditioners are ideal for all year round use due to their low noise output, cleanliness and Toshiba’s innovative inverter technology, which makes more efficient use of your household energy, Toshiba split systems are one of the most efficient ways to air condition rooms. 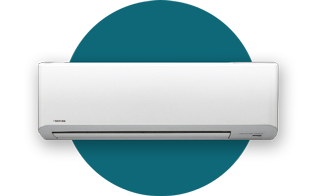 Toshiba split system air conditioners have many options to choose from, so you have the flexibility you need to find the right split system air conditioner for your needs. View our range or find a dealer today.